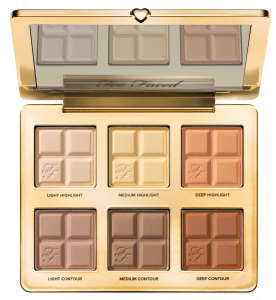 Indulge your sweet tooth guilt-free this Easter with Too Faced’s new Cocoa Contour palette (£40.00). This cocoa-infused contouring and highlighting palette not only smells of mouth watering chocolate, but lifts cheekbones, making sculpting simple and easy. The buildable matte formula is infused with Too Faced’s famous skin-loving Cocoa Complex and blends beautifully for a diffused, subtle contour that is natural and effortless. The palette is complete with three contouring shades and three soft matte highlighting shades suitable for all skin tones, that can be used on both the face and eyes. Available from toofaced, cultbeauty, debenhams, and selfridges. 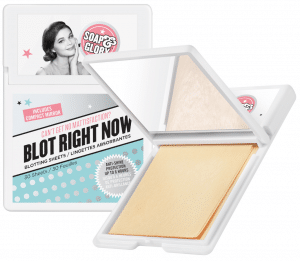 Remove oil and banish shine with Soap and Glory Blot sheets (£4). They will remove grease without clogging pores and give you up to six hours of anti-shine. In a handbag-friendly case, complete with compact mirror, this pack of 30 sheets will give you perfect pores and leave skin looking clean and clear. Available in store and online from boots. 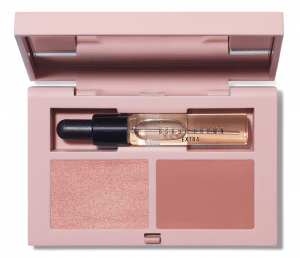 Bobbi Brown have collaborated with Ulla Johnson for a limited-edition collection. Drawing inspiration from the fashion designer’s ethereal aesthetic, the focus is dreamy hues and glowing finishes. 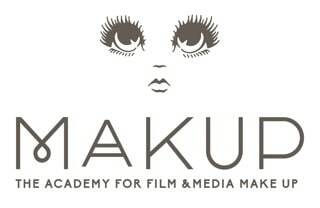 Includes: The Minou Eye Palette (£36.50) five pastel shadows in matter, sparkle and chrome metal. LouLou Crushed Lip Color (£24.50) lipstick with the feel of a balm, this is the ultimate swipe-and-go formula in a limited-edition shade. 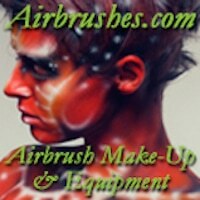 Ynez Cheek Palette (£30) for a golden goddess glow and Esme Cheek Palette (£30) for a fresh-faced glow. Both include pot rouge for cheeks and lips, cream glow highlighter and a mini extra face oil. 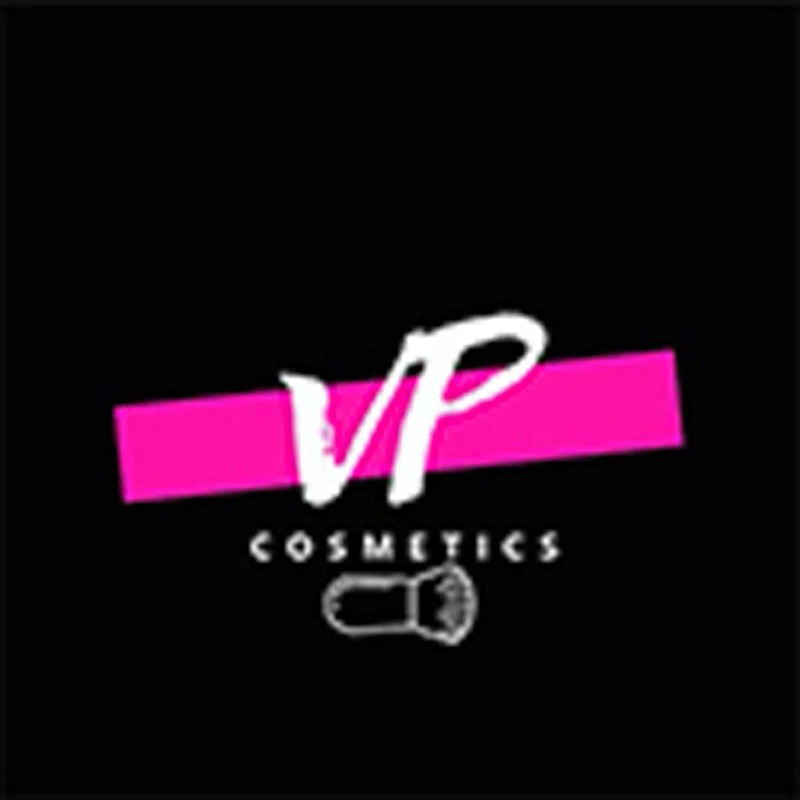 Extra Lip Tint (£25.50) lightweight, sheer and moisturising, with all the benefits of a balm, in a limited edition pink sparkle shade. 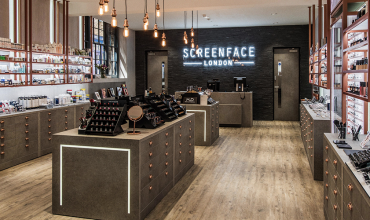 Available exclusively at Selfridges and Brown Thomas and nationwide from 11th April. 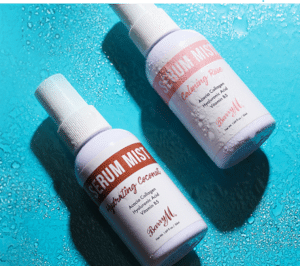 BarryM have released Serum Mist Facial Spray (£5.99) to give your client’s face more than just a quick refresh. Infused with skin-plumping hyaluronic acid, acacia collagen and vitamin B5, this multi-tasking, lightweight mist will treat dry skin with added nourishment and give make up that 4pm refresh. Available in Calming Rose and Hydrating Coconut, the mist can be used prior to moisturiser or to set makeup. It can be reapplied throughout the day to refresh and hydrate. Available from barrym and in Superdrug stores nationwide. W7 Cosmetics have just launched their brand-new eyeshadow palette, Pretty Please (£9.95) a blend of 12 super-sweet, soft pinks to dark, mysterious plum tones in matte and metallic finishes. Bursting with colour, the palette consists of easy-to-blend gorgeous shades. Whether your client is feeling more soft and delicate or sharp and bold, you can mix and match using the handy double-ended brush included. 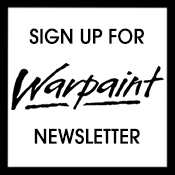 Available from w7cosmetics. 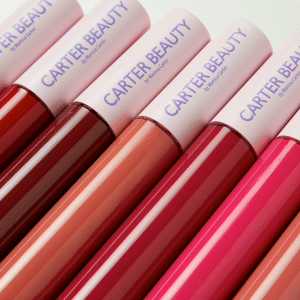 Carter Beauty have launched two lip ranges. The first, Free Speech Lip Tint (£7.50), is available in 20 shades in a creamy, non-sticky formula, and named after the inspirational women who have influenced creator Marissa Carter. 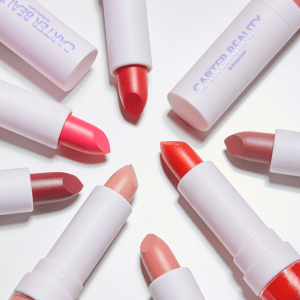 Available from selected Primark stores and on-line from carterbeautycosmetics. The second is Word of Mouth Velvet Matte Lipstick (£7.50) also available in 20 shades and formulated for all-day staying power without feeling dry or cracking. Available from selected Primark stores and on-line from carterbeautycosmetics. 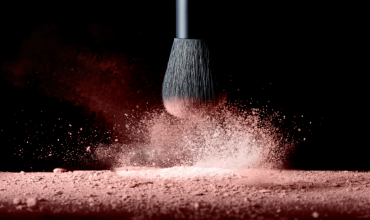 Celeb favourite Doll Beauty have released a new bronzer. Gimme Sun (£15) is available in two shades, light and dark, to cater for all skin tones. Perfect for contouring, the buildable matte bronzers contain light peach tones to create perfect definition and add structure to your client’s face. Available from dollbeauty, beautybay and Topshop stores nationwide. 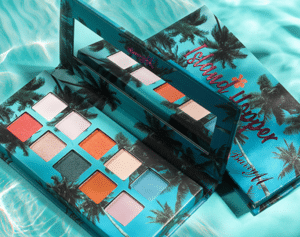 BarryM’s Island Hopper eyeshadow palette (£6.99) has just launched. The 10 vibrant and complementary hues will have your client daydreaming of an island rendezvous. Available from barrym and in Superdrug stores nationwide. 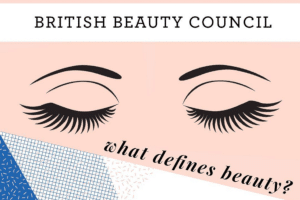 Avon have joined Coty and L’Oreal as a founding patron of the British Beauty Council (BBC). 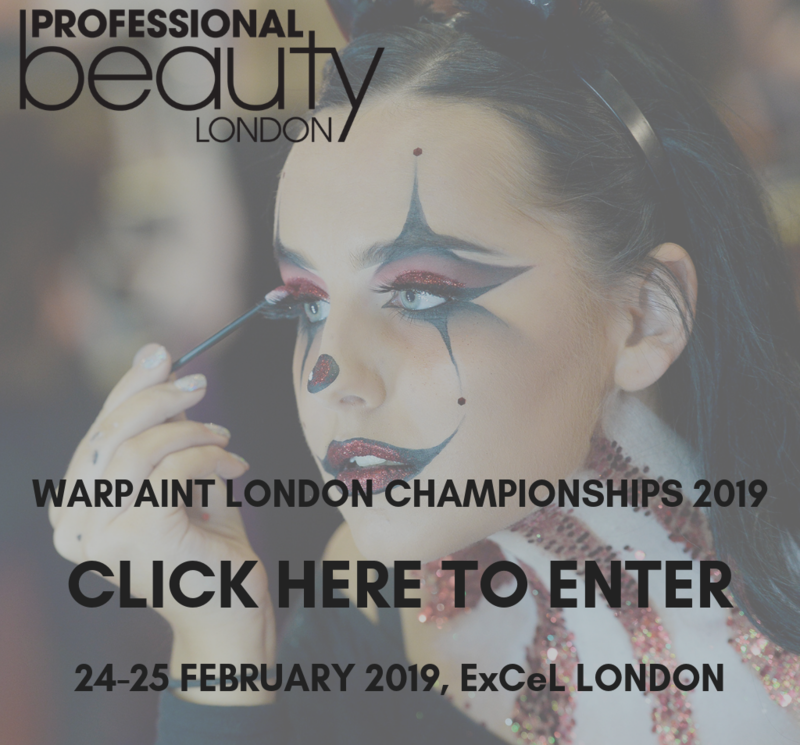 Founded in 2017 the BBC aims to represent the opinions and needs of the cosmetics industry at government level. In December the BBC named the first members of its newly formed Advisory Board, including model David Gandy, Cult Beauty founder Alexia Inge, Beauty Pie founder Marcia Kilgore and vlogger Caroline Hirons.